The average household creates 4-6 gallons of water daily from activities like cooking, showering, and cleaning. Adding insulation tightens a home to reduce energy loss, so it is important that the moisture generated is still able to easily escape. 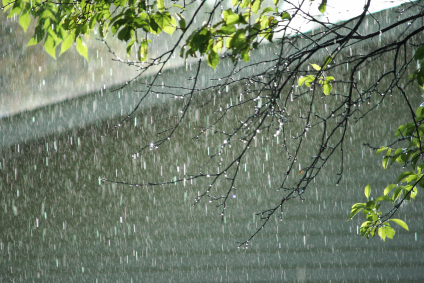 When moisture is trapped in a home, it can lead to mildew, mold growth and rot. These serious problems can quickly become expensive, unhealthy nightmares. Building scientists measure breathability in terms of a permeability rating, or perm rating. According to ASTM, a perm rating of 1.0 or less is consider a "significant vapor barrier." Vapor barriers provide insulation value but virtually no breathability. Other extremes, like house wraps with perm ratings of 58, breathe but provide no insulation value. Integrity Insulation is manufactured through a unique method that provides TRIPLE the breathability of other products, with a perm rating up to 2.8. This allows the products to work like Gore-Tex, a waterproof yet breathable material popularly used in athletic apparel and hiking shoes. Gore-Tex allows moisture generated by your body to escape, while still protecting you from the elements.